JOHANNESBURG – CUSTOMERS in East Africa are set to benefit from the power of world-class analytics after a Dubai-based group announced its support for clients in the region. 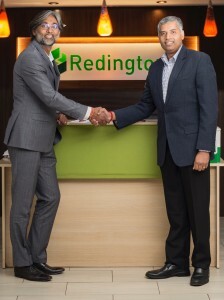 Redington Value, a subsidiary of the India-based Redington Group, has entered into a partnership with SAS, the business intelligence and analytics leader, to serve the latter’s customers in Ethiopia, Kenya, Rwanda, Uganda and Tanzania. “The decision to enter into a strategic partnership with Redington in East Africa came about as a result of the growing analytics market in that region and to ensure that our customers’ needs are not only met but exceeded,” said Steve Harris, SAS Senior Director, South and Eastern Europe, the Middle East and Africa (S&E EMEA Alliances) Channels. He said as organisations look to embed analytics into their business processes, the need for strong domain expertise and local regional support and scale becomes ever more critical to ensure customer success. Consequently, SAS began an extensive evaluation to identify a strategic partner in the East Africa region. Ramkumar B, President of Redington Value Division, said the company had embarked on a journey of creating a best-in-class data and analytics practice in East Africa with consulting, sales, pre sales and delivery capabilities. The partnership with SAS comes at a time customers are becoming more familiar with Advanced Analytics, Artificial Intelligence, Machine Learning and other new technologies. “They understand the concepts and how they see these concepts could work for their businesses. Now they are expecting technology providers to tailor their solutions to meet the business need,” said Sayantan Dev, Redington Gulf Vice President.